The Johnstown Flood (locally, the Great Flood of 1889) occurred on May 31, 1889, after the failure of the South Fork Dam on the Little Conemaugh River 14 miles upstream of the town of Johnstown, PA. The dam broke after several days of extremely heavy rainfall, unleashing 20 million tons of water, killing 1 in ten people in the town of Johnstown. 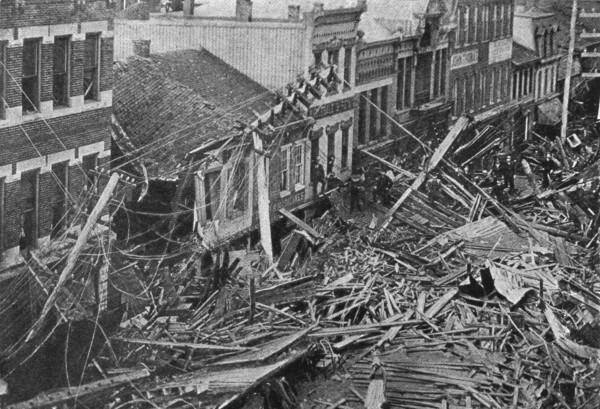 The American Red Cross, led by Clara Barton and with 50 volunteers, undertook a major disaster relief effort. Support for victims came from all over the United States and 18 foreign countries. After the flood, survivors suffered a series of legal defeats in their attempts to recover damages from the dam’s owners. Public indignation at that failure prompted the development in American law changing a fault-based regime to strict liability. “The lake was a little over two miles south of our village, and, by the water course, fifteen miles from Johnstown. It covered 750 acres of ground, and had an average depth of over 30 feet. Having heard the rumor that the reservoir was leaking, I went up to see for myself. It then wanted ten minutes of 3 o’clock in the afternoon of Friday, May 31st. When I approached, the water was running over the breast of the dam to the depth of about a foot. The first break in the earthen surface made a few minutes later was large enough to admit the passage train of cars. When I witnessed that, I exclaimed, ‘God have mercy on the people below,’ but I did not then suppose that the destruction of the lake would be attended by so great a loss of human life. “The dam melted away, oh, how quickly! Only a few moments were required to make an opening more than 300 feet wide and down to the bottom. I watched it until the wall that held back the waters was torn away, and the entire lake began to move, and until, finally, with a tremendous rush that made the hills quake, the vast body of water was poured out into the valley below. 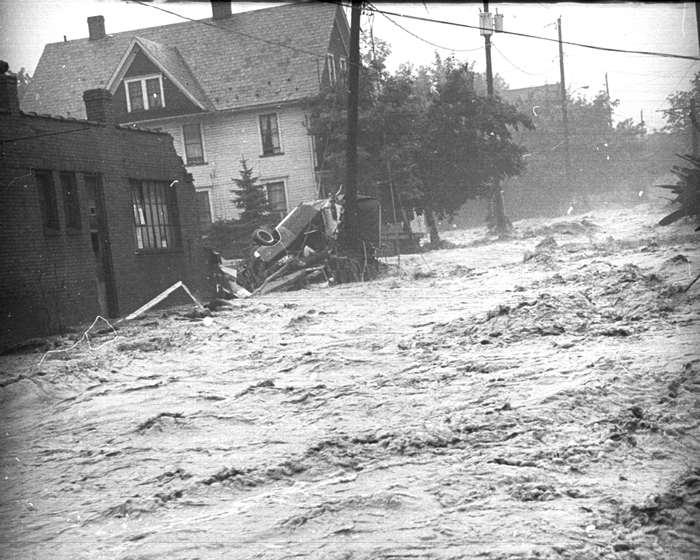 Only about 45 minutes were required to precipitate those millions of tons of water upon the unsuspecting inhabitants of the Conemaugh Valley; and right here it began its work of destruction. A mill, house and stable, owned by George Fisher, were demolished in an instant. Fortunate it was for him that, a few minutes before, he and his family had moved to higher ground. He had conveyed a milk wagon, a plow and other implements to a more elevated spot, supposing they would be safe there; but the mighty rush of water leaped over the hills and carried off his and other people’s property, to be seen no more. Tagged Featured, Flood, Johnstown Flood, Nature.